I often hear Paleo and Primal eaters say their shopping carts almost always look like that of a vegetarian grazing through the same super market when it comes to the non-grain veggies it contains. This comment – in my experience – often follows when addressing critics who say that a Paleo/Primal diet focused on fat and protein from animal products means whole, non-grain plants and their health-giving fiber, will be greatly reduced. Ancestral eaters time and again respond this is non-sense and that such a diet always includes a significant amount of fiber – often exceeding that of the average citizen or veggie and grain-focused eater! While I’m generalizing here a bit about the ancestral community, let’s explore this notion with data from the American Gut project. American Gut Project is the largest, open source and crowd funded microbiome project in the world. I co-founded the project back in 2012 with Rob Knight – who is the scientific leader of the project and now based at UCSD (click here for Rob’s new book). The project allows members of the general public an opportunity to peek inside their gut and see who’s in there so long as they donate to the larger citizen science project (note we’ve also given away hundreds of kits to folks who could not afford to donate). Each participant receives a testing kit at home that is to be mailed back to the Knight Lab at the UCSD (Note we’ve also launched British Gut with our affable colleague Tim Spector in London). As part American Gut, we ask that each participant fill out (optional) an online questionnaire asking standard things like age, gender, do you have any diseases, when was the last time you took antibiotics, do you brush your teeth, do you live in a city or a rural setting, and so on. In addition, we asked them to keep track of the foods they ate for a week by recording the information using an online website that keeps track of calories and so on. Because samples and data (questionnaire) are self-collected/reported, the American Gut Project is a cross-sectional observational study. In other words, it’s not ideal and full of biases – and the researchers running and collaborating on the study are fully aware of this. However, the large number of participants – at the moment >15,000 swabs have been sent out – and the kind of broad questions we are asking of the data, make it an excellent study for accessing the gut microbe variability across the planet for a range of diet and other lifestyle factors. More importantly, the project will help inform future, and more detailed, studies. Long live citizen science! Of that 15,000 or so swabs mailed out, not all have been mailed back to the lab, even less have been sequenced, and even a smaller amount of those have had the data uploaded. To date, ~4,500 samples have been sequenced and the results uploaded. (Please note all publicly available data sets have been de-identified – that is, scrubbed of any personal information that might link a particular set of results to a particular individual). As part of the questionnaire we asked people if they were Omnivores, Vegetarians, Vegans, and so on. Of the ~4,500 participants with sequenced and uploaded data, ~3,300 of them filled out the questionnaire with enough detail to assess their daily fiber intake based on food intake for a week. However, from this data we can’t tell if someone that has described him or herself as an Omnivore follows a Paleo or Primal strategy for eating. For this, I had to try and tease out the data from the comments column associated with the diet info. Identifying the Vegetarians and Vegans was easy – they said so. This resulted in 77 Vegans and 116 straight up Vegetarians. Note also we had 206 Omnivores who don’t eat red meat (pescetarian). For the truly Paleo/Primal folks I queried for participants who self-identified as “paleo” or commented with something like “I follow a paleo diet” or “I’m primal” and so on. This resulted in 73 Paleo eaters. For the ones that did not clearly state they followed a Paleo/Primal diet, but said things like “I don’t eat grains” or “I try and follow Paleo most of the time,” I lumped them as Paleo-Like (n=137). While this is not a perfect way to go about great science, it does separate the non-grain eaters from the vegan and vegetarian folks – at least for the folks who provided enough info. The distinction of grain eaters vs. non-grain eaters is useful as whole grains – presuming these are consumed by our grain eaters (at least some of the time) – contain dietary fiber. Box-and-whisker plot of daily fiber consumption for various groups. As you can see – at least for our not-so-great but interesting cross-sectional observational data – Vegetarians consume more dietary fiber than our Paleo folks and Vegans beat them all. Our Paleo-Like folks didn’t do much better than our run-of-the-mill Omnivores – coming in at an embarrassing 19 g/day, which is line with countless studies published over the years about dietary habits of Americans (which if you squint a little bit, suggests our data is tracking well and thus useful to consider in the “Who eats more fiber?” theme of this blog post). So on the often vigorous defense by some in the Paleo community that they consume adequate amounts of dietary fiber, I call bullsh*t. At least for this little self-collected data set. I’m not saying that a Paleo or Paleo-Like diet isn’t healthy or been shown in numerous studies to be metabolically beneficial, I’m just saying the Paleo folks in this data set consume an embarrassing low amount of dietary fiber by USDA and evolutionary standards. According to the USDA’s Dietary Guidelines for Americans, adults should be getting 14 g/day per 1,000 calories consumed. If you are on a 2,000-calorie diet, this translates into 28 g/day. So this means 28-38 g/day depending on your gender – more or less. Seems only our navel-gazing tofu-slurping Vegans surpass government recommendations with their crunchy cuisine. But how does this stack against our evolutionary past? I’m often asked what the most striking thing I’ve experienced or learned while working among the Hadza hunter-gatherers of Tanzania. Aside from their breathtaking contact with the microbial world around them, I would have to say their near-constant daily nibbling of dietary fiber has been a real eye-opener. Given that the Hadza live in a place in East Africa that presumably gave rise to our genus Homo – and they literally hunt and gatherer many of the same foods that humans have in this region for millions of years (and are literally covered in the same dirt) – their fiber consumption and its impact on their gut microbes has implications for us so-called modern humans in the western world. And given the huge impact dietary fiber has on modulating our intestinal microbes – see Justin and Erica Sonnenburg’s new book The Good Gut for an exhaustive and well-researched review of the literature on this – the fiber habits of the Hadza is relevant. As always, I take great pains NOT to get mired in the heated discussions about “humans evolved and do great on many types of diets” and “there is no one Paleo or ancestral diet” and “humans haven’t stopped evolving and adapting.” I know this – I get it. But when we are talking about our immune system and the daily tango it plays out with our resident microbes (friend and foe), we can safely assume that a great many of the genes that we carry today – both human and microbial genes – were selected in area of the world where we spent most of our time evolving. Not only as the genus Homo, but as members of the larger, ancient primate community. That would be Africa and for the better part of the last few million years, East Africa would be specifically of interest. That said, the fiber intake of the Hadza is useful to consider – especially in our work on their gut flora. The published data on Hadza fiber intake is scant and inconsistent (click here for an example). The Hadza consume foods in and outside camp, often on the go making it difficult to measure a handful of berries here, a piece of fibrous tuber there. But any researcher who has spent time with the Hadza will tell you, fiber intake is 1) high compared to western populations and 2) variable day-to-day and season to season. Note distended belly of this Hadza child. Early researchers and travelers working or visiting Hadza Land commented on the large, or distended bellies of many of the Hadza children – often interpreting this as malnutrition. This couldn’t be further from the truth. In fact, it’s a function of fermentation of dietary fiber deep in the bowels of the children. Yes, they eats lots of fiber (but not from “leafy greens” per se). As we’ve started to quantify the fiber intake among the Hadza, I’ve been amazed at the amount of fiber the children consume (still accumulating data). The primary weaning food for Hadza kiddos is Baobab fruit – but maize meal as a weaning food is creeping into more and more families. Mixed with water – and wild honey if available – the concoction of ground Baobab flour (highly fibrous chalky innards and fat-rich nut inside) of the fruit is consumed daily – yes, daily. Hardly a day goes by when Hadza women aren’t found digging up fibrous roots or sucking on the chalky and fibrous innards of the Baobab. And if it’s the right time of year, seasonal, and fiber-rich berries are consumed in large quantities. As the men walk to and from hunting stands – or practice encounter hunting where they walk around for tens of kilometers in a day – they do so while picking small handfuls of various fibrous berries and sucking on fibrous Baobab fruit, often just lying on the ground under and endless sea of Baobab trees. As we’ve started to quantify the fiber intake among the Hadza, some surprising and striking patterns are emerging. On any given day, a 4-48 month old kiddo might consume between 30-150 g/day of dietary fiber (sometimes more!) and out pops the distended belly (especially among the youngest in the camp). This is directly related to microbial actions deep in their bowels where the microbes go about breaking down the fiber releasing short chain fatty acids, various gases and other byproducts in the process – all of which promote the direct growth of some microbes and the growth of others through cross-feeding. Again, fiber intake is highly variable. Adult daily averages vary greatly as well – but are high. As children become older and more foods are introduced into the diet (and young boys start hunting), the ratio of fiber intake to calories consumed seems to drop – but still well above that 14 g per 1,000 calories recommended by the USDA. Which brings up another question: why don’t USDA dietary guidelines include recommendations for Americans under two years of age? I’ve asked around about this and can’t seem to get a clear answer. As best I can tell, it seems to be rooted in some notion that kids under the age of 2 are still consuming some or a large part of their daily calories from breast milk (but I could be wrong). As breastfeeding rates have plummeted in the US and elsewhere, this notion seems to be a little outdated. Even more striking about the Hadza is the nearly constant nibbling of fibrous sources even in the presence of large quantities of other resources like meat and honey (personal observation). This has huge implications for modern health and well being, specifically with regards to the design of diets in microbial studies. Time and again, microbial studies finger meaty and sugary diets as having deleterious affects on resident microbial communities in the human gut and thus the overall health of the host. Interestingly, these studies will often challenge a group of people or mice with a high fat diet – not unlike some Hadza gorging on a zebra kill eating the fatty brain, various other organs and marrow – but will not include any fiber – or if they do, in tiny amounts. While the studies may be mimicking what might be considered real world conditions – that is, the American diet – it ignores our evolutionary past and role of fiber in mitigating/blunting some of the deleterious impact of the fat-fed microbes. Said differently, would be great to see some studies that challenged mouse and man to high fat diets, but in a mixed meal with evolutionary amounts of fiber. I suspect the outcome would be very different as would be the headlines in your local paper. As a side note, the most abundant genera or group of bacteria in the American Gut Project is Bacteroides of the phylum Bacteroidetes. In countless studies that see similar findings, it’s suggested to be a result of our high fat and sugar American/western diet. Interestingly, Bacteroides are a minor group of bacteria in the gut of the Hadza – even during periods of high fat consumption (dry season when animals are easier to kill) and during periods when they eat tons of sugar (honey and sugary berries are more abundant in wetter periods). Since some species of Bacteroides are pH sensitive – that is, the more acidity the less Bacteroides you might see – then we might expect to see less in the Hadza as the higher fiber diet means more fermentation which translate into more things like short chain fatty acids and greater acidity. And that’s exactly what we see. But at this point, we don’t know the true reason for lower abundance of Bacteroides in the Hadza gut. Side note: it’s hard to wrap my head around the idea that sugar intake has such a huge impact on the distal gut microflora as sugar and its relatives is absorbed in the upper GI tract – well before it reaches the colon and could have an impact on the distal gut microbes. This isn’t well understood and would be interesting if it were explored in a little more detail. Maybe its a downstream effect – that is, shifts in communities in the upper GI that in turn have a downstream impact on more distal communities of microbes in the colon. Or maybe it’s the absence or low intake of fiber as sugary things make up as a larger portion of the diet is the bigger issue/problem. That is, it’s not what we are eating, but what we are not eating: fiber. Paleo brothers and sisters you need to get your sh*t together (pun intended) and start trying to eat more fiber if you want to truly eat a more microbially relevant ancestral diet. That goes for all of us. If you don’t or can’t, then even the most ardent among the ancestral movement should be labeled Paleo-Like or Paleo Lite. In closing, us so-called modern humans probably have the most alkaline guts in human history because we don’t eat enough fiber – not even close. I’m gonna go out on a limb here and suggest that the big bellies of these Hadza kids is trying to tell us something about the importance of an acidic colonic environment early in our development – specifically in this 4-6 month window when they – and presumably all of us – started receiving our first non breast milk foods. This, coupled with their microbially-rich environment – contrast that with the hyper-sterile environment our kids live in today – may hold the clues to the rise in some of the terrible diseases our children are afflicted with so early in life. If this die is cast early in our immune system development, then it has implications for our health as adults as well. If I had to pick one thing – among the myriad of dietary decisions we are faced with on a daily or weekly basis – making our colonic environment more acidic would be at the top of the list. 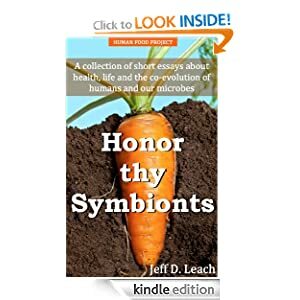 By doing so, our more acidic colons will mean better barrier function (less leaky gut), a more hostile environment for potentially pathogenic bacteria, and a greater diversity of microbes. Smile. Your next meal is fast approaching. ***Please note I do not have an agenda with this post. As anyone who reads this blog knows, I’m a big fan of all things Paleo. And a big-time eater of all things flesh. *** We are developing an APP with colleagues to help you feed and nurture your microbiome a little better (think diet + other lifestyle factors). If you want to receive an email when the Beta is ready, click here. I partially blame the massive funding from meat and dairy industries for the stress on protein. Partially. People also love the idea of eating more meat and less plants. But that needs to change. Do you really give kits to people who cannot afford it? I bought a kit about a year ago and got my results while I was living in New York. Now I live in a commune in Turkey eating mostly vegetarian diet and I wanted to see how my bacteria changed. I was especially interested to see if living closer to nature made a difference. I asked for three kits, two for the founders of the commune, but I was told that they don’t give free kits. İn any case, I follow your writings with fascination. Thanks. hi, we were able to give out some kits after we received some corporate money…. at the moment, we don’t funds for fee kits… but hopefully in the future. Great post, Jeff. I have been beating paleo-istas on the head about this for three years now. But one thing I would be interested in dissecting…the fermentable fiber intake of all of these groups. As far as I’m concerned, much of the “fiber” we eat is not fermented by gut bacteria. I would like to see the discussion expand to getting fermentable fibers in a meaningful amount. My very first American Gut test, when I was getting 40-60g/day of fermentable fibers looks quite unlike others. Great, informative blog as always. Glad to see you found some free time to get one out. As a mum trying to feed my two year old a very high fibre diet, I’d love to know if these Hazda kids with distended bellies also have regular, formed BMs. Because the higher fibre we seem to eat, the runnier the result! I’ve facebooked you under a different name about how your writings about fiber changed my life. Others helped, but you were the first spark and inspiration almost two years ago. I consume about 120-150 g/day of fermentable fiber. I have done so for about a year and a half. I have to use fiber supplements to do this, but I use a little bit of many types, plus things tha I call supplements but that are really food (baobab, powdered dandelion root, powdered yacon, flaxseed, etc.). I started as an average middle-aged sick American with too much body fat, allergies, poor blood sugar control, signs of heart disease, high blood pressure, IBS, concerns by a gastroenterologist that I might have early signs of Crohn’s, arthritis and achy joints, and lots of other stuff. It’s all gone. Every bit of it. People can argue about cause and effect, but I had done everything before. The fiber is the only new thing. I’m mostly Paleo plus lots of fiber in practice. But truthfully I can eat anything now. Yes! My energy is the same day all day every day. I sleep very, very well. These are new to the fiber too! My energy is independent of my food intake. I’ve never had mood issues. My 8yo kid does about 50g/day. She lost eczema, allergies, and likely asthma. No distended belly. What Tim Steele says above is important. I’m not counting stuff the bugs can’t ferment. The bugs get their food, I get mine. I get it from real food when I can (I follow the ideas in Jeff’s American Gut Challenge) but I need supplements to avoid crazy calories. I supplement smallish amounts of many different types of fermentable fibers that add up to a lot. Fermentable is key. Or as the Sonnenburgs say, “microbiota accessible carbs.” Resistant starch is an important part of my diet. I am equally grateful to Tim for my improved health. Consider reading his posts here and his blog too. Thank you so much for your reply! Am I understanding you correctly resistant starch is fermentable fiber? I add potato starch, an RS, to my daily supplements. It’s helped a lot. One thing I appreciate Wilbur mentioning is a variety of RS’s. This I don’t do, but will look into it. Kris – Here’s a “Wilbur Approved” article on Resistant Starch you might like. And if you click on the Amazon link, you’ll see a whole slew of Wilbur-esque fibers that we have been using. I have to say, I am completely impressed by Wilbur’s use of RS and other fibers to turn his health around. I find that a spoonful or two of potato starch seems to be my sweet spot, but there are plenty of fibers to experiment with: Inulin, Hi-Maize corn starch, banana flour, etc… And also lots of real foods that are heavy-hitters like onion, garlic, leeks, dandelion root, and Jerusalem artichokes. I did a small experiment recently. 4TBS of raw potato starch daily for a month, then did a microbiome test…18% bifidobacteria! Thanks so much for the info and link! A far cry from the book Fiber Menace. What fiber supplement do you take? none really. i do like inulin – a prebiotic..
Wilbur, could you give more details on how you get to 120-150 g/day? What supplement brands, dosages, etc. Your case is interesting and I would like to try replicating. Wilbur, Wonderful story. Would be interested to see a day’s example of how to get that much fermentable fiber. Did you start slowly to allow your digestion a chance to adjust? I’ve written about this quite a bit on Tim’s blog and freetheanimal. It starts with veggies. I got my inspiration from Jeff’s American Gut challenge. I eat the tough parts of my veggies and as raw as possible. Breakfast is an omelette with 1/2 bulb of garlic (I eat the skins too) and onion, not precooked. Lunch is often cheese with heirloom tomatoes, plums, berries, etc. dinner varies, but usually fatty meat with raw fibrous veggies. Probably more raw onion. I have two fiber drinks per day. In approximate order of quantity: raw potato starch, inulin, baobab, banana flour, dandelion root powder, amla berry powder, Amazing green grass, partially hydrogenated guar gum, Syontix inulin (a special long chain inulin), psyllium husk powder, glucomannan, ground flax seed, Hawthorne berry powder, GOS, and yacon root powder. I might be missing a couple. The first three though are the ones I can’t do without. This is a mix of purified fibers and essentially real food high in fiber, but I nonetheless call them fibers. The total fiber content I take is about 100-120 g/day, plus what I get from veggies. I tried more, but I felt sluggish. Warning: Drink lots of water with this. I forgot twice, and had severe gas and constipation both times. I just took Jeff’s advice about eating diverse species of plants and applied it to supplemental fibers. I read lots of studies, and if a fiber showed benefit, I added it. I had no idea before starting that it would benefit me so. Yes, I started slow. The gut needs time to adjust. I might have had some early adverse reactions and mistakes, but I was ignorant of the possible connection to my fiber intake. I just kept going. In the end, I was rewarded with all the benefits. I have perfect -literally perfect – digestion every single day, and perfect energy. No aches, pains, or autoimmune issues. No Allergies. Stellar blood lipids. No hypertension. Before I was a typical sick American. My probiotics consist of a spoonful each of dandelion miso and sauerkraut. I think we each have our own cure. I don’t know why mine worked for me. Others, like Tim, seem to have gotten similar results with different and perhaps less extreme approaches. But we all have in common an emphasis on fermentable carbs, particularly resistant starches. Hi and Thanks for your work and the amazing post – I would like to know if and when these kids grow out of having a distended belly. Have started eating a lot more fiber including raw potato but don’t really want to end up with a distended belly :))! Also, when they do eat meat can you give an idea of how much they eat? Great article. Very informative and thought provoking. My understanding from reading about the Hadza is that a lot of the carbohydrate in the tubers they eat is fermentable rather than directly digestible, even after spitting out the fibrous quid. This would give them a massive fiber intake. It seems like most of their CHO intake must come from sugar then, e.g. honey and fruit, which as you know they eat a lot of. Sure, but many Paleo-ish folks consume less than 2,000 calories. A lot of them have 2 or 3 meals a day and abstain from snacking. Also, a number of them are into intermittent fasting – leading to a 1,600-1,800 calorie diet. At 14g fibre / 1,000 calories consumed, a total fibre intake of 22.4-25.2 grams is ideal on a 1,600-1,800kcal diet. Remember, the 2,000kcal/day figure is not a mythical number you need to hit, it’s just something that’s easy to calculate with. I am a member of a growing community of people who don’t eat plants at all. I don’t live in the USA – I’m a New Zealander. I am sixty-one, in good health and have no need of any medications. I previously suffered from obesity and IBS, but since giving up grains I have not had any of these issues. I’m currently 95 days into my zero plant experiment and find that I eat mostly beef and dairy (in the form of cream or butter or sour cream). I would suspect that my biome would be quite different from a plant-eater and wonder if it would be of any interest to your project. I don’t have a high income so not sure if I can afford to participate. The claim that the Hadza diet is typical of our ancestral diet is controversial. The Hadza you tested live in a period of reduced megafauna, availability of metal tools and contact with farmers. Try to bring them back to the time and energy consuming stone tool culture and see how much plant food they can collect and process. Bring back the large animals densities that they experienced prior to farming and see how easy, in comparison to plant food, meat acquiring becomes. There is plenty of evidence of societies (not just Eskimos) on a high meat/fat, low fiber consumption who were extremely healthy. i think you missed the point i tried to make in the article about this. Raw honey, especially the way Hadza eat it (raw, unfiltered, including the comb) does not equal to “sugar”. Such honey is full of microbes (bacteria, yeasts) in their various life forms, including viable but nonculturable (VBNC) state, pollen, wax, larvae, various oligosaccharides and other bioactive metabolites and compounds. It is a pro- /prebiotic bomb. we’ve been collecting honey and bees. so will be interesting to see what microbes are lurking..
Could you give some examples of how to create a more acidic colonic environment? What’s the best way to measure acidity and what would you consider to be an acidic pH? What about people who have taken enough antibiotics that they are not properly digesting their food in the first place? to create more acidity – you need to ferment more. simply eat more fiber. don’t get caught in soluble vs insoluble. just eat more plants. you can measure pH with little strips you buy from the store. antibiotics do cause short term (possible long term) impact on your gut flora. lots of literature on this..
Jeff, I thought you meant urine, which is more commonly tested with pH strips, and I had never heard of testing feces with them, so you might want to specify that in the future. Great article. Looking forward to your honey findings. I am really happy to see this. As a full-time paleo nutritionist, I have gotten tired of seeing the hashtag #morevegetablesthanavegetarian by well know paleo bloggers and authors. Not only a put down to vegetarians and vegans, but now proof that it is untrue. What a great opportunity for more humility and humbleness in the paleo community. Any idea why raw potatoes on low carb gave me intense dreams but on a starch-based, McDougall type diet, they do nothing but upset my gut? I’m really curious about this. no idea. too many variables/confounders to consider. i think they are doing so in the context of thinking about blood pH – not colonic pH. but in general, this has mystified me as well. My understanding is that alkaline dieters typically measure urine pH, and sometimes saliva pH, rather than blood pH (see “The Alkaline Diet: Is There Evidence That an Alkaline pH Diet Benefits Health?” http://www.ncbi.nlm.nih.gov/pmc/articles/PMC3195546). Plant-heavy diets reportedly do tend to result in higher urine pH. I’m not necessarily promoting it, just explaining. Hope that helps. I’ve always wondered what’s up with the distended bellies that you see in pictures of these sorts of tribal children. It does look reminiscent of malnutrition. Do the kids – with their sizeable fermentation tanks – actually appear in any way uncomfortable when they’re running around or being active? the presence in big bellies can be an indication of malnutrition – but depends on where you are. in the case of the hadza, food insecurity is not an issue. So in the case of the Hadza, is it due to gases from fermentation? Ah, I see you did mention the gases, sorry–missed that on my first read. Fascinating stuff. I had wondered about the bloated belly phenomenon. Adults don’t appear to have it, so presumably they either eat much less of the highly fermentable foods like baobab seeds and fruit, or they develop microbiomes that are quite efficient at handling the foods. I look forward to your future research on the fiber consumption of Hadza children vs. adults. How much DHA do they have in their diet – in average ?! Any rough estimation ? Curious as to whether the Hazda children are vaccinated. Some are. But overall % is low – but I suspect this will change in the near future. Jeff – Do you have an opinion as to what the ph of poo should be? Good Q: I can fluctuate mine from 3-9 pH….. Keeping it under 6/7 would indicate some level of fermentation… But everyone varies. I’ve spent considerable time and money trying to accurately measure poo-pH (poopH?). I could not get test strips to work at all, I ended up buying a calibrated Extech EC600 (http://www.testequipmentdepot.com/extech/labinstruments/pHORP/ec600.htm). I found that pH varies even on a single sample by several points, so the entire sample must be homogenized before sampling. The probe must be pre-calibrated at the temperature of the poo. Even this is difficult to do. The next step would be to mix the poo with a buffer solution and filter it so that you have a liquid to read from. That’s how labs do it, anyway, but I was hoping for an easier DIY procedure. I found that my well-mixed poo has a pH of 5.5 – 7.0 with the lower readings correlating to much higher fiber intakes. The less fiber, the higher the pH, as predicted. Interesting, as always! I wonder about the distended belly. Many people, myself included, eat to avoid bloating. I find it can be extremely painful and can be related to SIBO. Certain foods I avoid completely or eat only small amounts of such as bread or asparagus due to severe bloating or distention. How is the health of the Hadza people? I came to Paleo/Primal from Veganism, so I might eat more fiber than typical. I also eat properly soaked legumes. I also am interested in the Blue Zone dietary/longevity studies and am interested in how the Hadza compare. Our project does not do health exams – so don’t know. Great post Jeff, really love what your doing. I agree 100% that more fiber will be helpful for most but I question if we all need to strive for a Hadza-like level. It has been recognized that macronutrient consumption shifts with latitude and I can’t help but notice most of our data on hunter gatherer populations or non-westernized agrarian societies seems to come from a somewhat equatorial sampling (or at least leaves out a sample that would be more in alignment with N. Europeans). Along these same lines, the small intestine is often left out of the dialogue but it represents over 50% of the GI whereas the colon represents 20%. I understand we still have a lot to learn and the small intestinal data will surely follow, but would be curious to hear your thoughts on this. Good points. But I’m starting to think that with regards to our gut bugs, thinking more about those areas of the world where people spent the lion share of our evolution may hold more interesting clues – not all the clues, of course, but more relevant. But this is a process for all of us trying to piece this together… But I could be wrong…. That makes sense. Thanks Jeff! An interesting article. However, you fail to recognise the fact that the microbiome of Hazda people have not been disrupted. A diet that our ancestors ate is only going to be effective if we have the gut bugs that our ancestors had. The truth is that we simply don’t. Many of us have taken antibiotics, drank fluoride rich water and maybe been bottle fed rather than breast fed at birth. Who knows what we would be feeding if we suddenly ramped up to the fibre intake you speculate is best. Good points. Hadza have been exposed to antibiotics – ~15% of them i believe. Every Hadza has tasted maize meal (corn), and likely sugary drinks from time to time. But, if the avg westerner starts eating more fiber, we are likely to see benefits from increased acidity and improved barrier functions – that is, less stuff leaking into our blood (e.g., LPS, etc) – and experience far less low-grade inflammation – which sits at the base of obesity, type 2 diabetes and other metabolic issues. Ramping up fiber intake would have benefits – as for feeding unknown bugs… they are there already, i doubt — but could be wrong) it would inadvertently cause blooms in less desirable strains. Quite the opposite i would think.. but…..
What is the best way to estimate my fiber intake if I mostly eat foods that have no nutrition label? Are there good online resources for this? Good stuff here… Just to play a little devil’s advocate, though- You’ve established that vegans eat the most fiber, and I won’t argue that the paleo crowd needs to eat more veggies, especially some starchy ones. BUT, there is a high likelihood that the fiber consumed by vegans is mostly from grains and legumes (probably lots of soy beans). That doesn’t necessarily feed the bacteria that we want, promoting the gut acidity that we want, in turn promoting the health that we want. The real story will begin to emerge when we can parse out which types of fiber should and shouldn’t constitute our important daily intake. Jeff, would you recommend vegans nearly eliminate whole grains and legumes? And get most calories from tubers, while eating a lot of fibrous vegetables and fruit? not really my place to say. people shud eat whatever makes them & their gut bugs happy. So what are those bacteria whose growth might be promoted by whole grains? Thanks for clearing this up? In the american gut data set – the largest, population-wide gut microbiota data set that i’m aware of – is dominated by bacteroides… the idea that a firmicute-dominated gut is associated with chunky folks – doesn’t hold up in american gut data – the general population falls along a spectrum… note also i can swing my firmicutes from 80% to 20% in a few days – just by tweaking fiber… note the hadza are dominated by firmicutes – but they are of course, thin. Looking at this American Gut Project report at http://americangut.org/wordpress/wp-content/uploads/2013/09/module1_Sept_16_small.pdf: I feel like I see at best an even distribution between the two primary phyla for gut samples but a much clearer concentration of Firmacutes while the rest is divided between other bacteria, including bacteroidetes. It would be great if more detail started coming out about the interaction between weight and bacteria, medical conditions, etc. Would be interested in the kit referred to in the above article. However, I would prefer to discuss my situation privately through email. Was wondering how much of the food and what categories the Hadza eat cooked vs raw. Also, do they eat fermented foods and if so how much? they cook meat – but sometimes for short periods. no fermented foods. Interesting question. I imagine if they’re eating raw veggies, the dirt on them provides plenty of microbes. Fascinating work. Just wondering how much of the Hadza’s diet comprises of foraged whole grains as I notice you didn’t mention grains at all as part of their diets? Is their intake of whole grains seasonal? How do they prepare them? Do they grind them and do they remove any of the bran? What sort of grains do they use? How does their intake of wild grains compare with their intake of maize? I was also wondering whether they have any alcohol, and if they do is it bought or home made, or even foraged (like the naturally fermented marula)? They get some whole-grain maize from time-to-time. They grind whole and eat. They have access to some nasty booze made from fermenting maize and/or millet. Low alcohol content. This is fascinating!! I am especially interested to learn more about the children. My oldest was born vaginally, no antibiotics during labor and he was exclusively breastfed till he was about 6 months and then continued till he was 4.5 yo. He has never had antibiotics. He always had loose stools and pooped between 3-5x a day. As he began eating foods (more vegetables and fruit than most American adults) his belly seemed to bloat. And his stools were always loose but not watery/diarrhea. Just not firm/solid. We were told he had low pancreatic enzymes and IBS and he was put on a low FODMAP diet & digestive enzymes. We did it for 3+ months but I just felt like it was bizarre to limit vegetables… So we started adding them back. And his bloating is coming back. But now his stools are solid. And the first stool of the morning is very lumpy. He usually still poops 2-3x a day. I wonder what we’ve done to his gut. :-/ Perhaps his flora and digestion was ideal all along. But all we have to compare to is other typical American kids…. Compared to the Bristol chart, what are the Hadza children’s poop like? How often do they poop? And comparing the Bristol chart to the adults, what is their poop generally like? How often do they poop? Ok, so no more ketone strips for me, but instead pooping 3-5 times a day is the key. People immense hang-ups when discussing faeces and regularity, I now see the health problems that this shyness causes. Can fermenting vegetables prior to consumption (rather than fermentation in the tummy tank) reap benefits to support a diverse gut microbiome? What’s the difference (gut microbiome/health) between people (or animal studies) with high consumption of fermented foods vs same non-fermented foods? Good post, I’m an evo trainer and I believe on the right intake of fiber, I eat half of my daily intake from animal products and half from vegetables, as the major part of hunter gatherers. Unfortunately, there’s zero fiber in any animal product. You get all your fiber from plant sources. You mentioned that Hadza kids have a lot of gases in their gut because of the fermentation of fiber. As a result, surely they must have flatulence as well, and not just a little, from the distended bellies I can see on the picture above. Is that a problem in Hadza society, or does the gas production disappears as they get older ? Thanks for your awesome articles on such an interesting subject. Great article Jeff! I really enjoyed reading this and I love what you said about how our gut is more alkaline because we are not eating enough fiber. Our gut is supposed to be acidic and this is changing because we are not eating enough fiber. I am not a vegan or vegetarian but I definitely need to start eating more fiber and this article really showed me the effects of a low fiber diet. I enjoyed reading your article. You talk about how in our modern world we sterilize everything, so how would be go about decreasing our sterilization without becoming sick? Although we do need bacteria and we hyper-sanitize, is there a way to go about this in a safe way? Thank you. Very interesting post. I’m very interested in paleo diet and I’ve found this post very useful. Pingback: ¿Los hombres de las cavernas realmente siguieron una dieta Paleo?